Ryan's Smashing Life: Devo's Satisfaction - 30 Years Later! Devo's Satisfaction - 30 Years Later! One of Our Favorites: 30 Years Later and the World still isn't ready for DEVO. Their sound was born in Akron, Ohio .... Devo unfolded it's leathery wings (ala pterodactyl style) thirty years ago and served up elements of punk and anti-punk both mixed with the ironic and, clearly, the iconic. 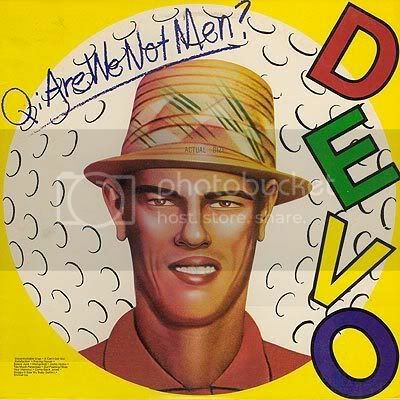 Three decades ago, the band produced the Are We Not Men? album and our strange world would seem just a little stranger still.